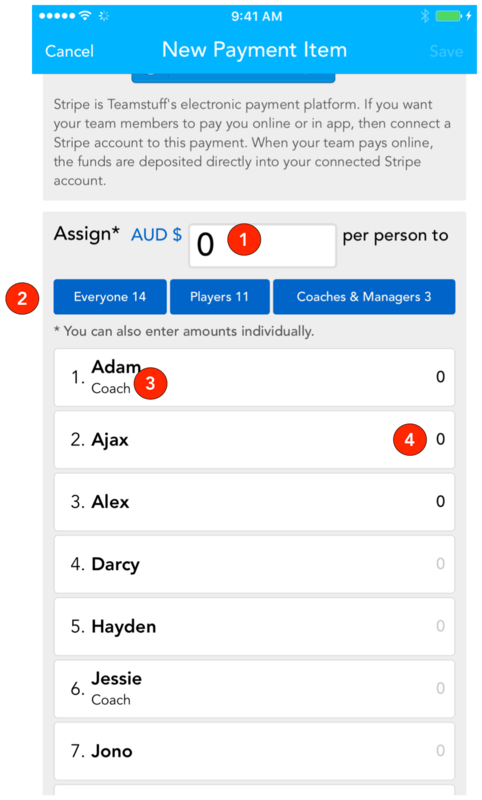 Teamstuff has fantastic support for collecting payments from your team. It's simple to setup, and it's simple to collect cash or credit card payments from your team members. And with full visibility - them and you - it makes the bad old days of clipboards and emails a thing of the past. OK, so firstly - you need to be coach or manager of the team in order to collect fees from the team. Assuming you are, then here's what you need to do in order to set a payment up. You're likely to only ever do this once. 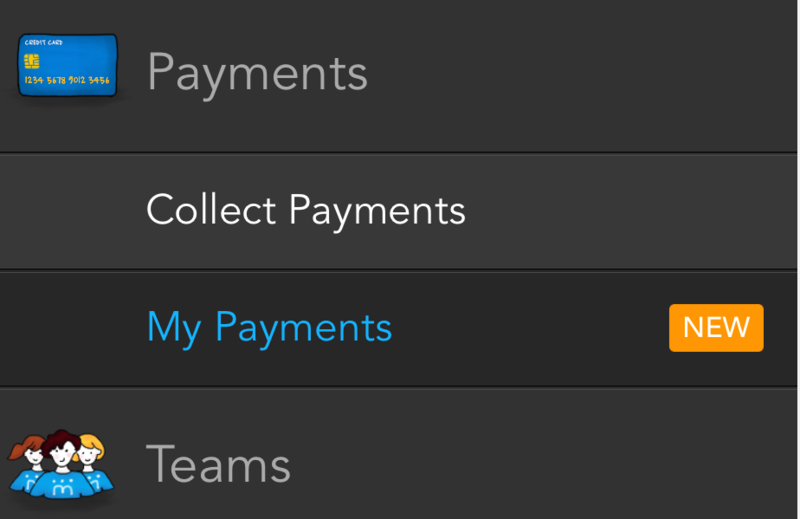 So, jump onto your app, and look for the Collect Payments section under Payments. You can see it below. In the next screen, you can hit the gear icon in the top right corner to bring up the settings. So to the exciting part - creating a new payment. Strangely - you hit the plus icon at the top right! Easy. Tell us what - what's this for and why would they pay you. We've got room for a summary and a longer description should you need it. And let everyone know when the payment is due. Always useful if you actually want to get paid. Step 3 - How much money is needed? We'll list every one in your team - all the players, all the coaching and admin staff. You get to allocate the money to each and every one of them. And - better still - that amount can be different per person. Maybe you don't charge the coaches daughter the same registration fees. Or at all. For every rule, there's an exception - and teamstuff is totally fine with that. Not only are we fine, but we've made it super simple to use. There are 4 key touch points that help you out. If you'd like to add the same amount to lots of players - add that value in here. These three buttons are super powerful. Will assign the value you added in 1 - to that group of players and/or coaches and managers. Three choices - absolutely everyone, just the players, or just the coaches and managers. You are going to use this a lot! Alternatively, you can touch people's names in the list, and we'll assign that value from the box in 1 to that person. Super easy. Lastly, you can override any choice by touching on the actual dollars section, and start typing a value. It could not get any easier. When you're done - hit save, and you've created a payment for your team. 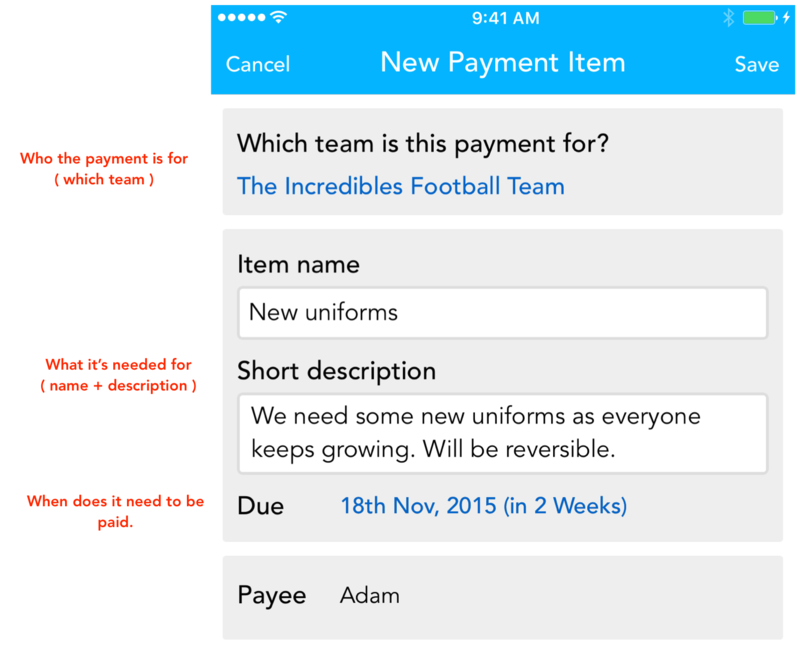 Teamstuff will notify each of the members that a new payment has been requested of them. And they'll see it in their personal apps, with a very bright orange 'NEW' tag so that they can't possibly miss it. You can remind them whenever you feel like it, and you'll be able to see a perfect, up to date view of who has paid, and who hasn't.